Becky is available for speaking engagements and events, to share her story and offer helpful tips for moving from merely survival to THRIVING! It is such a pleasure to introduce you to the beautiful soul I’m fortunate to call my friend and colleague, Becky Norwood. I met Becky a few years ago when we were both participating in the same coaching program. For more than five years now, she’s been helping others share their stories through coaching, done-for-you services, and her course, Journey to Authorship, which teaches the steps required to write and successfully publish a book. Recently, she opened up and shared her own personal story with the world, and her courage and strength are now helping others to heal, as well. Be sure to read her full bio to find out all the fun details of what she’s been up to and has to offer. Becky was kind enough to spend some time with EBW to answer some questions and share her story. 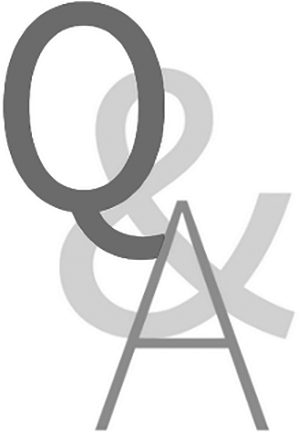 I hope you enjoy this Q&A as much as I did. Q - Why do you think it’s important for people to share their stories with others? Sharing our stories has a certain amount of magic [to it] that happens. When one puts pen to paper to craft their story, it has a way of putting things into perspective. It brings clarity and healing, as well as a broadened perspective on that which we are writing. In the writing, we create a new story for ourselves, plus we leave a legacy for future generations. Q- How did you come to understand the significance and importance of sharing stories? For years I had struggled with depression and low self-confidence due to a history of abuse that started in early childhood. I continually sought answers for a way to overcome and live a life of constantly feeling joy. I could put up a good front, but deep down, I suffered. You see, in my own business, I consistently worked with others to either showcase their expertise in business by writing/authoring and publishing a book to share with the world, or, even better, to share their stories of life transformation. And yet, I resisted telling my own story. Finally, I had had enough and decided to write my own story. The result has been amazing, gratifying, healing, and powerful. I had named my book some five years earlier—even purchased the website URL—and just recently it has come to be. Up till then, I was “preaching to the choir.” Now, I am working with others to tell and share their stories with authenticity, because I can now lead by example and have firsthand experience of the transforming power of telling and sharing our stories. Q - To clarify with the audience, when you say “share your story,” what type of story are you referring to? That is a very good question, and my answer is two-fold. I feel that we all have a story. 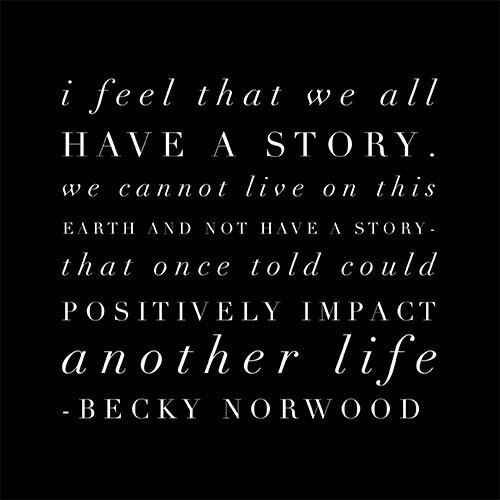 We cannot live on this earth and not have a story—that once told could positively impact another life. I feel that what is missing in our world is that heart-connection; the human-ness that brings us together. We live in a fast-paced digital world that, while it includes the “social” aspects, it often finds us living lives of separateness. I’m saying that even in business, we need to have our “Signature Story.” Humans love stories, and it is the stories we tell that form the connections that are so very important. Who are you? Why are you in the business that you are in? What is it that you have overcome that brings you to where you are today? Why should someone do business with you? What do you bring your clients and prospective clients that will make a difference in their lives? What makes you different than anybody else who does exactly what you do? Do you own a pet store? A shoe store? Are you a life coach? A Videographer? A Doctor? What forms that connection so that they come to know you, like you, trust you, and will become your raving fan? Then there is the other story—the deeper story of who you are. The life experiences that nearly shattered you, but you survived. The life experiences that caused you to struggle, and which you finally overcame. How did you overcome it? Could sharing that story make a difference for even one person? What do all the famous writers of the past have in common? Wayne Dyer, Napoleon Hill, and so many others? They have long left our world, but their words still have an enormous impact on the readers. Q - How can people become more comfortable sharing their story with the world? I say, start where it feels right. Is it too difficult to write? Speak it! Record your words then edit them afterward. We can do that with our mobile phones. Many of whom I work with find it easier to simply sit down and talk to someone they trust and simply tell their story, all the while recording it. Initially, that is [the process] that worked for me. [You can also] start with the senses. Write down the memories of the way the weather was that day—the sights, the smells, the colors, and what was heard. Q - Is it possible to share too much or over share? Perhaps initially; and that is why [I suggest] writing it and then letting it sit for a week, a month— at least for a while. Often when we go back and read our words, it can be a bit shocking. In my observation, once the words are written, and we let them sit, then go back and read them, the healing is already taking place. We can edit or rewrite with more clarity, more calm, and a different perspective. I have a friend with an experience much like my own. She wrote and published her first book, and it was filled with anger and hurt. Since that time, she has continued to grow and heal and is now rewriting the book from a softer, more gentle approach. The key is the healing that took place. Q - What do you find are some of the biggest fears for people when it comes to sharing their story? Fear that others will judge them. Fear of hurting people that were involved (i.e. family members). Fear of repercussions if the person who was the perpetrator is still alive. In some cases, we encourage our writers to use pen names. In my own story, I use my own name but change the names and places of everyone involved, including family members. Q - What types of success have you seen people experience when they open up and share their stories with others? 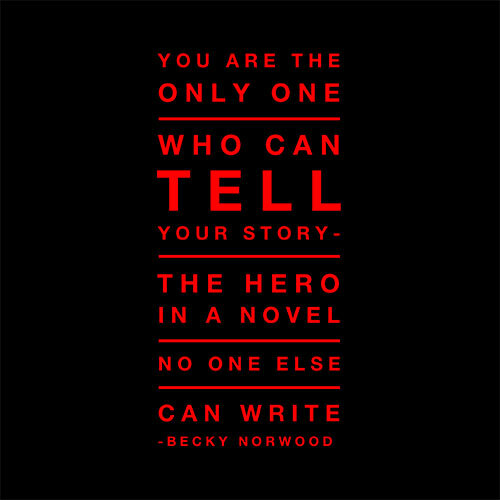 You are the only one who can tell your story—the hero in a novel no one else can write. It is only by writing it, sharing it, and releasing it that you begin to rewrite your story and begin to heal. Right now, I am authoring a second book called “We Choose to Thrive.” In that book are interviews with many who have not only survived, but are now thriving. Sharing your story brings a healing that is so unexpectedly delightful, simply because it sets you free. If you choose, it opens the door to an entirely new world of possibilities. I have already begun the interview process for this second book, and I am touched and amazed by what these women have gone on to accomplish. Q -What are some of the steps required for people to effectively share their stories (authorship, etc.)? The first and major step is actually writing it. Without that, you have nothing! Secondly, I find that once it is written, [you should] share it with a few trusted friends. Ask them for their feedback. I found this to be invaluable for myself. Third, decide if you want to publish it. If you are going to publish it, do you want to simply publish it and be happy you did it? Or do you want to use your published works as a stepping stone to grow a business? There are some very definitive steps for making your publishing efforts worthwhile, and it begins with some key ingredients. Q - Anything you’d like to add? Yes. I am publishing my first book in August, with a second and third book to follow shortly. My second book is in process and is a book of interviews with abuse survivors, what steps they took to begin the healing process, what resources they tapped into, and what they have done so that now they are thriving. The book is called “We Choose to Thrive,” and I am officially offering EBW readers a chance to participate! Please click here ﻿﻿to find out how you can ﻿﻿participate in this meaningful project. I also offer many FREE resources for tapping into your creative juices, including 12 Free Tips to Writing Your Story, so individuals can put pen to paper to inspire and empower themselves as well as their readers. Becky Norwood has provided a one-stop shop for would-be authors; a place where they can learn how to do it themselves, as well as get help in doing it. “My ideal client is a business owner who wants to take their business way further than just working hard,” Norwood says. “They know there are things they can do to expand their reach and message, but they don’t know how to get there. They are, however, willing to learn and apply their knowledge into a work of heart.” This stepping stone to authorship starts with telling their signature story, the “why” behind the passion that led them to take part in their business. It becomes the showcase and launchpad to more books, products and, therefore, extra streams of revenue. The Learning and Resource Center: a place where she promotes experts who teach various courses on different subjects like podcasting, media coverage, hosting webinars and social media management. Done for You Services: where the Learning and Resource Center takes a do-it-yourself approach, the Done for You Services is much more hands-on. Becky assembles her top team of copywriters, editors, formatters, social media managers, bloggers and web designers, and leverages their talents to gain exposure for her clients’ books. This process attracts huge audiences of half a million people or more. But how does one become an author in the first place? That’s where her training program, Journey to Authorship, comes into place. “Journey to Authorship is a sixteen-week-long live, interactive group training that helps people who know that they want to write a book, but have no clue where to start,” as Norwood explains it. “They have plenty of content that can be repurposed for their book,” Norwood says. This is what sets the Norwood method apart — she not only teaches the importance of marketing, but has assembled the tools needed to make it happen. Becky’s desire to help others stems from her own journey as a business owner. “I have been self-employed all my life … I started working when I was eight.” But when the economy went under, so did her business. “To lose a business was unbelievable,” she remembers. Right around that same time, social media was really becoming a big deal. Through this new lens, she saw two things: despair and opportunity. She saw many people just like her losing their businesses left and right. She felt their pain. But what she also saw was a way to not only help herself, but those other down-and-out business owners as well. 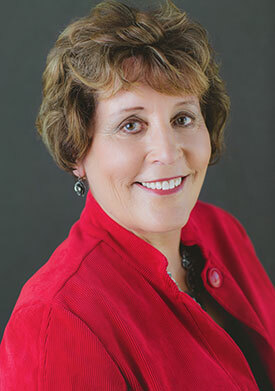 To learn more about Becky Norwood and her various service offerings for business owners and would-be authors, visit: SpotlightOnYourBusiness.com.